That is, unless you are a PLANT. In which case, summer is a heck of a lot LESS enjoyable! For our much-loved plants (yes, even the indoor ones! ), summer presents many challenges, including variable weather, and leaf-browning light. During the hottest months of the year, a consistent care approach is required to maintain the optimal health and functionality of your in-door plants. We’ve ‘unearthed’ our Top 5 Benefits of Hiring Brisbane’s Plant Hire Specialist During Summer. Just as humans require more water during the hotter months, so too do your plants. Because plants contain more water than animals (plants are 97 percent water! ), they require more water than other living things. But how much is too much? It can be tricky to know. In Summer, it’s tempting to water your plants often, but this can lead to overwatering and cause your plants to die. 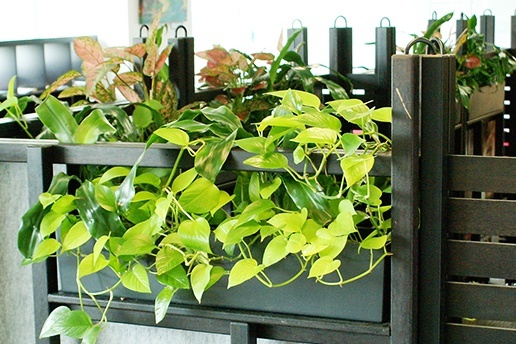 Just think…what would it cost to have to replace all of your office plants if they didn’t survive the summer season? We all know prevention is better than cure. Take the guess work out of it. The best and most cost-effective solution is to HIRE your plants through a plant hire service provider. Kick off your new year in a beautiful green office space that provides health benefits, and also boosts productivity within your team. Does Your Office Design Support Growth? Summer in Queensland is mostly warm, hot and humid but it can be unpredictable with thunderstorms and occasional floods. This year, temperatures in the Sunshine State have been hotter than normal, meaning it’s not uncommon for a summer day in Brisbane to be above 30C. Last year, health authorities warned southeast Queenslanders to avoid being outside during the hottest parts of the day. The same warning should apply to our plants. Even indoor plants that have the luxury of an air-conditioned life in summer should be positioned away from direct sunlight. If your plants are in the direct firing line of unrelenting sun rays, this can be detrimental to your plant life. Consider repositioning your plants or drawing the blinds to protect your plants during peak heat periods. The best way to beat the heat, is to make smart design choices when considering where to position your plants. Hiring a professional plant service provider to design, install and maintain your office plants will ensure that your goals are considered in the design vision. Not only will the design be functional and appealing for your staff and clients, but plant life will be protected and nourished during variable weather conditions. Do You Know What Your Plants Need During Summer? Have you ever wondered why your indoor plants are not prospering? You water them. Check. You keep them out of the direct firing line of the sun. Check. But still, you find yourself cleaning up brown leaves from the floor. Unfortunately, there’s a little more involved than just watering your plants on occasion and crossing your fingers for the best! Hiring a professional plant provider means that you benefit from customised care – individually tailored to the type of plants you use, your office design and layout and your reasons for having plants incorporated into your office design. Caring for plants comes second nature to the professionals. If your indoor plants are wilting and you’re not sure why, it might be time to consider partnering with a professional plant hire team. Each workplace is different. 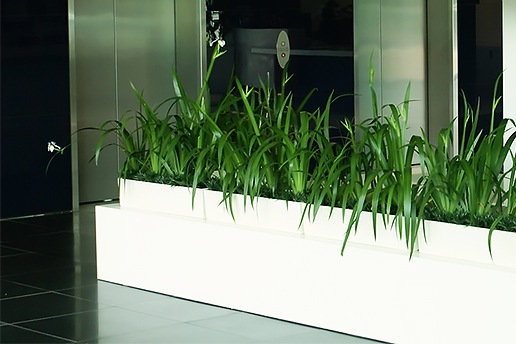 A professional plant hire service can provide a customised indoor plantscape design, along with a Regular Maintenance Plan. They usually work with Interior Designers, Facilities Managers or directly with clients, to create tailored plantscapes that support a beautiful and healthy office space for your staff and clients to enjoy. The best part is you or your staff never have to worry about, ‘How much is too much?’ when it comes to light, water, fertilizer and trimming. Do You Need Support To Achieve Your Greening Goals? Let’s face it – if we have to go to work, we want our work environment to be as pleasant and comfortable as it can be! Imagine how the ambience and functionality of your work space would improve if you had a loyal team, committed to helping you achieve your office greening goals. Working with a dedicated team of professionals who have the interests of you and your team at heart, is best. And we all know, nothing beats working with people who care about what they do. When looking for a professional plant hire service, it’s important to choose a team who are experienced and are known for carrying out plant maintenance discreetly and with minimum disruption to business operations. It’s also wise to choose a service provider who is confident designing tailored plantscapes that suit your needs exactly, whether you have a small office or you need a large scale commercial indoor plant installation. When you choose to work with a dedicated team of professionals, you benefit from the expertise and experience of a team of design consultants and interior plant experts who are passionate about the proven benefits of greening offices and commercial spaces. Are Your Staff Wasting Time On Plant Maintenance? Have you ever watched someone working with such efficiency that you have been inspired by their work ethic? There’s something magical about seeing people work at their full capacity with such ease and flow. You want to know their secret, right? How are they getting so much done in so little time and making it look effortless? The truth is, when it comes to being productive, less is more. Did you know that one of the 9 Habits Of Productive People is to stop multi-tasking. At Prestigious Plantscapes we’re all about efficiency. We want the same for your team too. We provide complete solutions, from designing a tailored plantscape around your needs to professional and discreet installation and ongoing maintenance. By hiring our professionals, your team won’t have to lift a finger when it comes to taking care of the office plants. As a result, your staff are able to focus on more important tasks and improve their productivity. If you’re ready to ‘reap’ the benefits of hiring Brisbane’s indoor plant hire specialist during summer, get in touch with our friendly team today.